New Life Tires & Auto Repair provides quality car care to Bonita Springs, FL and the surrounding areas. "April is Distracted Driving Awareness Month -- make sure you keep your eyes off your phone and on the road." "If you could drive any classic model around town, what would it be?" "Every repair comes with a story to share. http://bit.ly/2yTBo2i"
"We take great pride in our name, and even greater pride in your satisfaction." 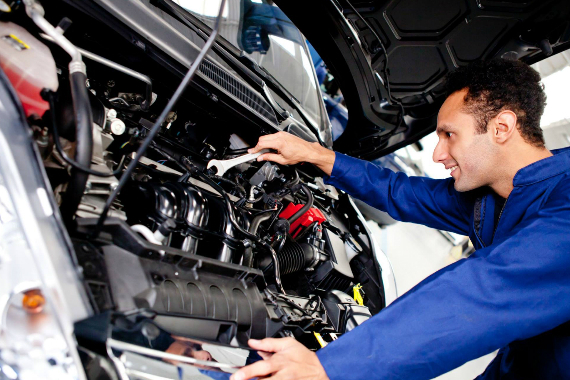 "Make sure you're informed so you can stay on top of any issues with your car. (By the way, the answer's D!)" Very good service work fair pricing. Quick fast and easy and good prices. I recommend this place to anyone. Yes, I'd like to receive news from New Life Tires & Auto Repair. Sign up for the New Life Tires & Auto Repair Newsletter!